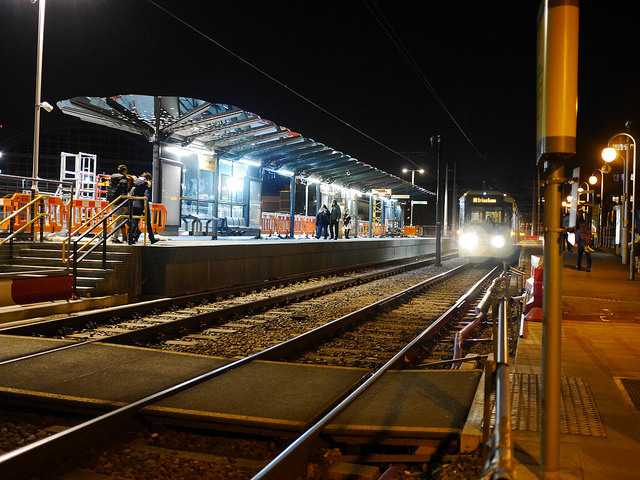 From 21 March, travellers flying out of Manchester Airport will be able to start their holiday earlier thanks to the new Metrolink early morning timetable. The newly revised schedule will see the first tram arrive at approximately 03:40. Transport for Greater Manchester has been working closely with Manchester Airports Group to extend the Metrolink’s operating hours to meet the ever increasing demand of the UK’s third biggest airport. Not only will it be more efficient for early risers flying out of Manchester on their solo holidays, but will also reduce the number of car journeys on the motorways connecting to the airport. The multi-award-winning £400 million line opened nearly a year ahead of schedule in November 2014 and carried 1.88 million passengers in its first year.